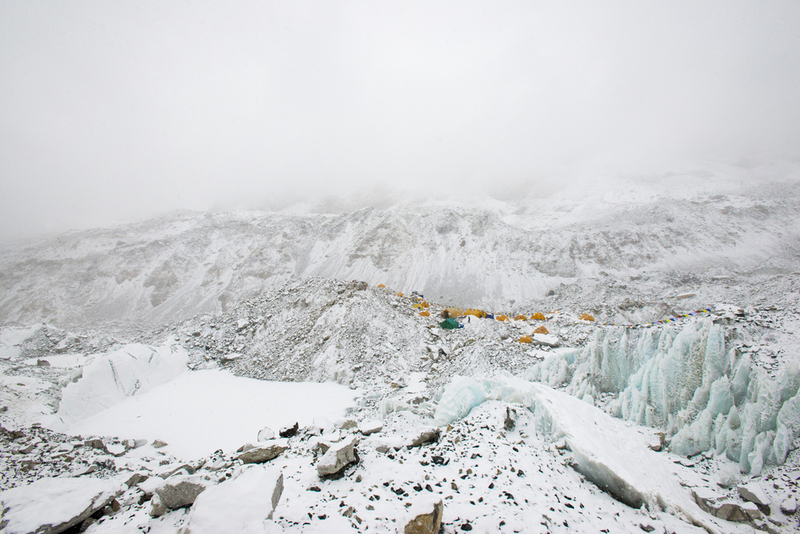 The day before I arrived at Everest base camp the weather changed dramatically. Clear skies washed over white and I initially thought my project was over. 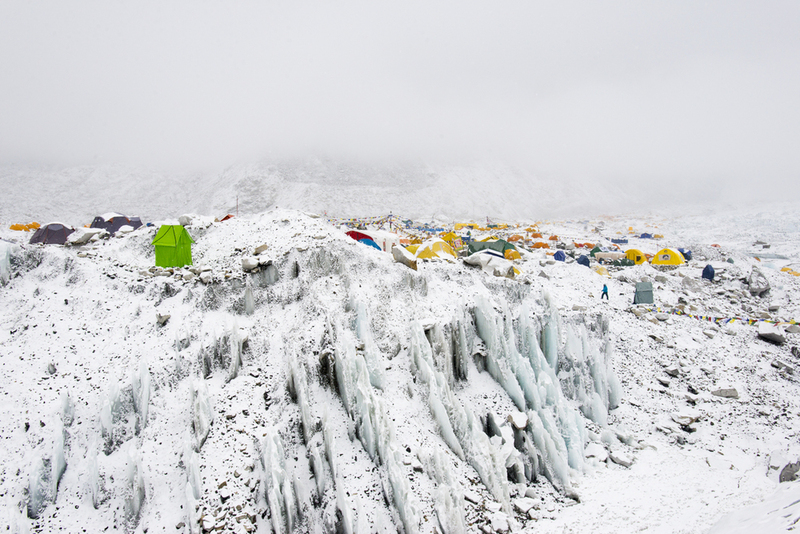 Then when I started to explore the glacier during a fall of snow, I realised base camp had adopted a stark beauty which I had not seen before. See the full series here.